Buxton has been providing comfort to travellers since at least the Roman times. Our aim is to maintain this tradition and to offer comfortable accommodation and warm hospitality. 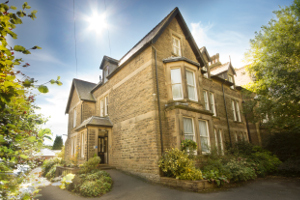 Accommodation in this spacious Edwardian house, quietly situated, but very close to the town centre, comprises 5 double, 2 twin and 2 single rooms arranged on the ground and first floors. There are at least two dozen good restaurants in the town and we are within a few minutes walk of many of these. 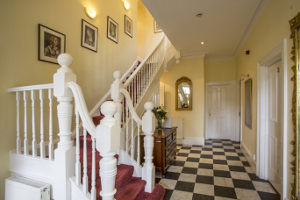 Our aim is to make your stay as comfortable and enjoyable as possible. New! Free wireless internet access.